Duart Appeal U.S.A. – USA Non-profit campaign to preserve and support Duart Castle. USA Non-profit campaign to preserve and support Duart Castle. 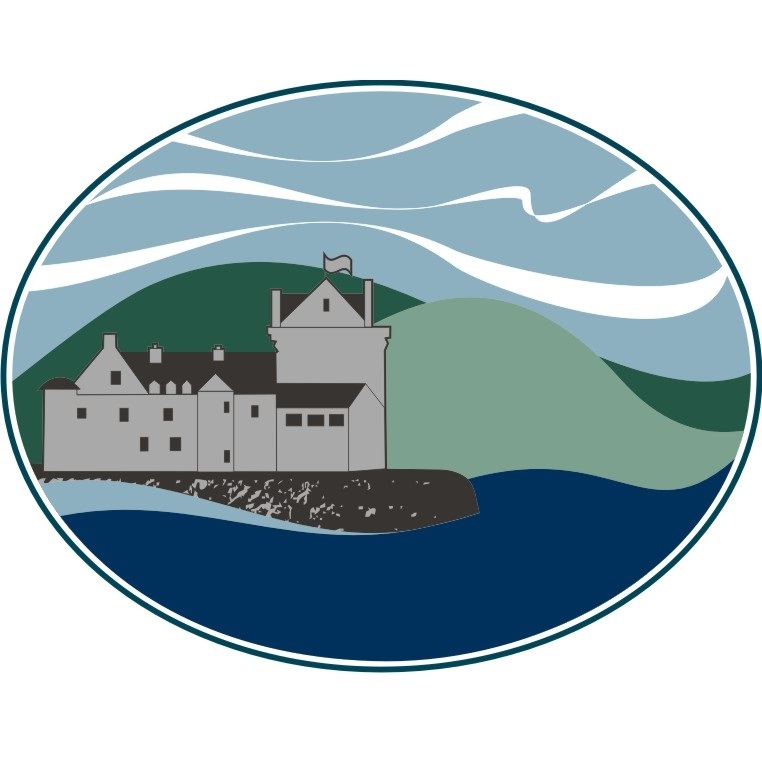 The Duart Appeal is a non-profit campaign to raise matching funds to, in cooperation with the Historic Scotland Foundation, preserve Duart Castle, the 13th century home of the Clan Maclean on the Isle of Mull. 100% of net donation proceeds are being directed as contributions to the Duart Castle Appeal. All U.S. tax-deductible donations on this site are contributed through Clan Maclean Assoc.-CA, a non-profit 501(c)(3) corporation supporting Scottish Cultural outreach. Please make donations via check payable to Clan Maclean Assoc. CA and write Duart Appeal Fund in the Memo Line. If you would like to speak to someone or have questions about your donation, please contact Trish MacLean-Frandsen at +1.719.660.8151. DONATE ONLINE by clicking [here]. In an effort to recognize donors, the Chief has introduced Donor Recognition Levels. All donations are important to restoring the Castle and there is special recognition for those donors who contribute at specific levels in GBP as outlined below. Guardians: Donors who contribute £200 GBP ($259 USD) & above will receive a unique Duart Castle Guardian badge (pin) and certificate. Life Guardians: Donors who contribute £1,000 GBP ($1,294 USD) & above will receive a Duart Castle Guardian badge, certificate, signed photograph of myself standing in front of the Castle and be granted lifetime access free of charge to the public areas of the Castle during opening hours. Patrons: Donors who contribute £5,000 GBP ($6,471 USD) & above will receive all of the recognition of Life Guardians and a Clan Maclean Crest. 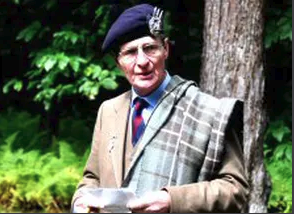 Chief's Circle: Donors who contribute £25,000 GBP ($32,354 USD) & above will receive all of the recognition of Life Guardians and an engraved Quaich. Chief’s Circle donors can have their names inscribed in stone and Patrons and Life Guardians can have their names written into registers held in the Castle for public viewing. In the future, when descendants of these donors visit Duart and see the names on display, they will feel great pride in their ancestors who adopted the spirit of Sir Fitzroy Maclean, the 26th Chief, who said in 1912 that he “restored Duart for my family, the Clan”. At the Clan Congress on Mull in June 2012, I told the Macleans present that my family could no longer afford the repairs that we had undertaken at the Castle in the previous 100 years. I asked them if they would help with the repairs that we needed to do to make the Castle watertight. Macleans attending the Clan Congress on Mull in 2012 unanimously decided to help me with the repairs to Duart Castle to make it watertight. I am very pleased to report that the Appeal, launched in 2014, has raised or had pledged £465,000 by the end of May 2018. I am overwhelmed and very grateful for this support. Water is coming into the house through the joints between the stones, where the mortar has been washed away. The main source of concern at Duart is the water penetration into the Castle. In the winter of 2013-14 we lost four ceilings, which were brought down by water penetration through the chimneys. The pictures show some of the major areas of water penetration that we are trying to stop. The situation has now become so bad that some of the pictures and items on display are being affected by water. Since 2014 the first four phases of the restoration at a cost of £1.01 million have been completed. Historic Environment Scotland contributed approximately £470,000 to this work, while the Appeal and my family each provided £270,000. Phases 5, 6 & 7 have been planned at an estimated cost of £1 million. Historic Environment Scotland is to contribute approximately £400,000 with the expectation that this work will be completed by the end of April 2021. To achieve this end the Appeal is to raise a further £390,000 by the end of 2020 and the family will contribute £50,000. Although at the moment there are insufficient funds available to complete all of Phase 5 in 2018/9, Phase 5A is proceeding at a cost of £180,000. The scope of this work may be expanded as additional funds are raised during the year. 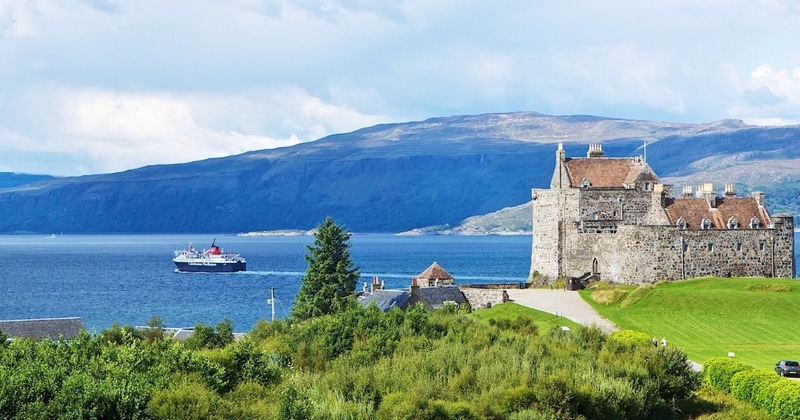 Once the Appeal has raised its target of £390,000, £2 million will have been invested in the restoration of Duart Castle with the Appeal having contributed a total of £855,000. I thank you in advance for any help that you can provide. Parts of the castle date from the mid 13th century - and there was a fortress on this site even before then. The great keep was erected by Lachlan Lubanach Maclean in the 14th century and some of the buildings within the courtyard were added 200 years later by Lachlan Mor. This process was continued in the 17th century by a third Lachlan, the first Baronet of Duart and Morvern, whose armorial stone in the courtyard bears his initials and the date 1633. The Campbells sacked Duart in 1688 and the battered old castle was garrisoned by government troops until 1751. The present Chief's great-grandfather, Sir Fitzroy Maclean, bought the ruins in 1911 and restored the castle. This was celebrated by a great Gathering of the Clan the following year. The restoration efforts of Sir Fitzroy are being undermined by the wind, rain and weather on the Black Rock of Mull. In the winter of 2013-14 four ceilings were lost, brought down by water penetration through the chimneys. 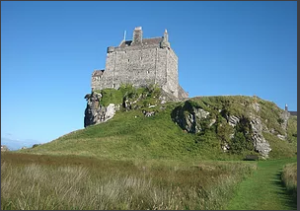 Because of the significance of Duart Castle to Scottish history and culture, the Historic Scotland Foundation has committed to fund half of the cost of the repair and preservation expenses. Contribution from donors like you is needed to save the castle and its heritage. 100% of donation proceeds are being directed as contributions to the Duart Castle Appeal. 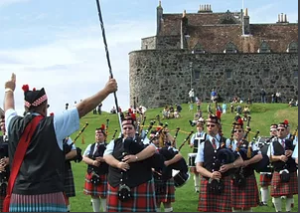 All U.S. tax-deductible donations on this site are contributed through Clan Maclean Association-CA, a non-profit 501(c)(3) corporation supporting Scottish Cultural outreach. We'd love to hear from you. Please feel free to contact us with questions, comments, or if you would like to be added to our mailing list to get an update on the repair efforts. ©2019 BY DUART CASTLE APPEAL.